later. We are honored to be one of the oldest German trading companies still active in Japan today. processing and packaging machinery as well as equipment and plants for printing and plastics. Our principals belong to leading machinery manufacturers in their respective fields with whom we have built solid relationships over many years. Our English and German speaking staff (sales, technical and assistants) allow us to convey the profound and complex wishes of our customers to the machinery suppliers, always keeping in mind the idea of Japanese perfection. There are only 2 levels in Japan – G or NG (good or not good). And G is our goal! Every customer in Japan, be it a major market leader or a small specialist expects top service. With more service technicians than sales staff – covering the whole spectrum from mechanical, electrical, programming work to project management, we are proud to put service in the forefront of our activities. We look forward to continue to do our part in introducing new technologies and products to the Japanese market in aiming to reach the next milestone of our company’s history in Japan. 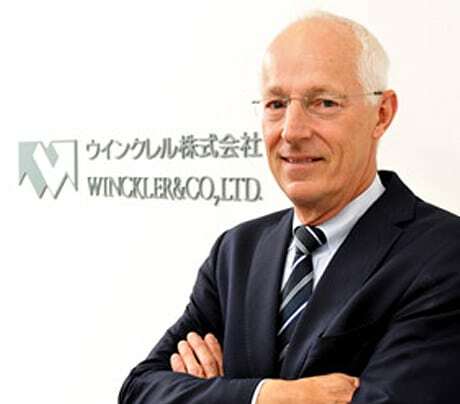 WE ARE HONORED TO BE ONE OF THE OLDEST GERMAN TRADING COMPANIES STILL ACTIVE IN JAPAN TODAY.